DESCRIPTION This traditional, executive home is located in the heart of Mount Royal on desirable Dorchester Ave. Off the foyer is a large living room with wood burning fireplace and a spacious dinning room perfect for family gatherings and entertaining. The open kitchen also has an inviting fireplace with raised hearth and eating area, stainless steel appliances, granite counters, pantry, and french doors to an inviting south back yard. Tucked behind the dining room is an office with fireplace and builtin bookshelves. A few steps up is the large bright master bedroom with ensuite. On the upper floor are three generous bedrooms with a 4 piece bath. The fully developed lower level has a large entertainment area, another bedroom, 3-piece bath, laundry, storage room and access to the double attached garage. Both the front yard and south backyard are complete with mature trees and numerous perennials. Conveniently located close to excellent schools, parks, shopping and just a short commute to downtown. 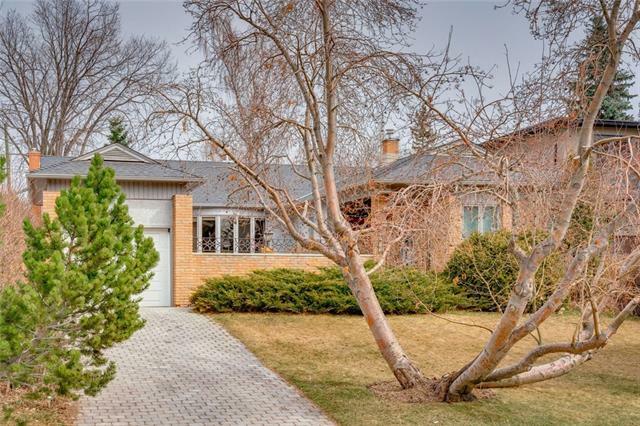 1141 Dorchester AV Sw, Calgary, Alberta, MLS® C4223518 T2T 1B1 is a Detached, 5 bedrooms, 4 bathrooms, approximately 2,460 Sq. Ft. Listing price 1,524,900.00. This property was built in 1932.